We’ve all heard it before, skin is the largest organ of the body. Because of this, your skin is vulnerable to damage. Everyday our skin is directly exposed to environmental factors; UV radiation from the sun has oxidizing effects, and then there are the oxidizing effects from the oxygen in the air. Topical solutions are a given. Up until a few years ago, I was never a ‘skincare girl’. I used what I thought would work from the nearest drug store… By no means am I telling you that you need to go spend a gazillion dollars on a skincare regimen, but definitely do some research into the formulation and pay attention to what your skin reacts to. My routine consists of face wash, perfecting lotion (similar consistency as a toner), eye cream, and a moisturizer. Depending on where you live, or the season, some sort of UV protectant (SPF) can also be thrown into the mix. They should all be gentle, yet effective. I know, easier said than done! Now what about the things we can’t see? 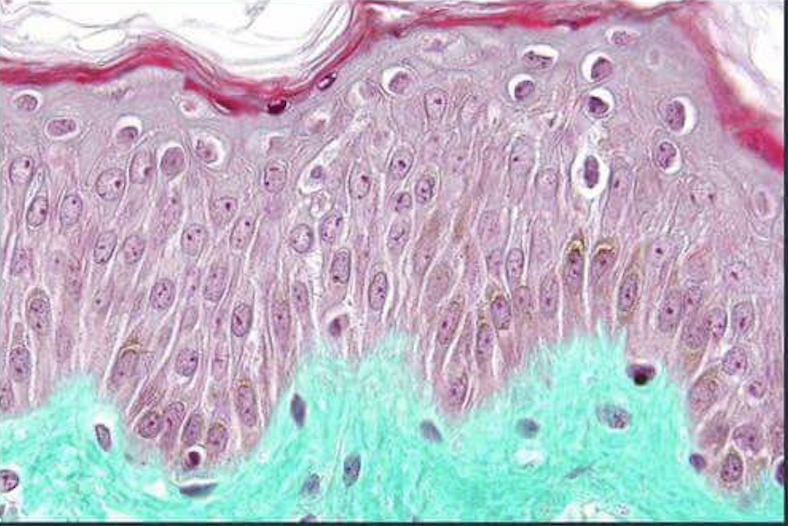 What is going on beneath the surface of our skin, within our cells? What is affecting how our skin looks, and even how it feels? Some people are blessed with beautiful skin, no matter what they eat. I am not one of those people. As we age, our skin becomes thinner, damaged from toxins, and loses its elasticity. Not a good combination if you ask me. What can we do to slow this process, and even reverse some of this damage? Step 1) Make sure your guts is healthy. Lasting skin health starts from on the inside, and if you can get your gut healthy, it will show on the outside. A probiotic is incredibly important. Fermented foods are a great option, yet realistically not everyone enjoys kimchi and kefir. It’s also important to note that not all probiotics can be treated the same. Did you know many probiotics don’t actually make it deep into the gastrointestinal tract (small intestine) where it needs to release good bacteria? In addition to skin health, probiotics help with immune system and losing weight. Here’s my recommendation on a patented formula that uses time released technology to survive the stomach. Step 2) Cut out inflammatory foods. Do you have sensitive skin? Maybe you are experiencing signs or symptoms of eczema, acne, chaffing or itching. Many of these symptoms can be avoided or alleviated by eliminating certain foods. The intake of meat, dairy and butter can result in adverse effects of the skin. Research shows a positive link between milk and acne, yes even skim milk. Step 3) Up your intake of whole foods. Fruits and vegetables that contain carotenoids (yellow and green produce) protect the skin by fighting free radical damage. A higher intake of green and yellow vegetables have also been shown to contribute to the prevention of wrinkles. Vegetables (e.g. kale) have protective properties, as do prunes, apples and tea. Green tea phytonutrients protect skin against UV radiation. These whole foods will improve skin elasticity and hydration. Another preventative measure is the consumption of flaxseed oil. Flaxseed oil can reduce skin sensitivity and improve skin texture and appearance. As you can see, gut health and nutrition plays an important role on both the inside and outside of our bodies. Are there certain foods that trigger reactions, such as break outs or irritations for you?